Canning Line Machine Control project for Roeslein & Associates in St. Louis USA. This involved the Panel Design and PLC Software for 14 Can Line machines. Multiple Canning Line reconfiguration. Hardware design, software design and commissioning of system. 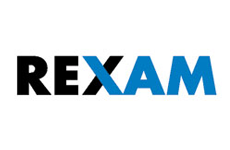 Rexam is the largest beverage can manufacturer in the world and is one of the world’s top five consumer packaging groups. Keep up to date with all our goings on, follow us on Twitter.